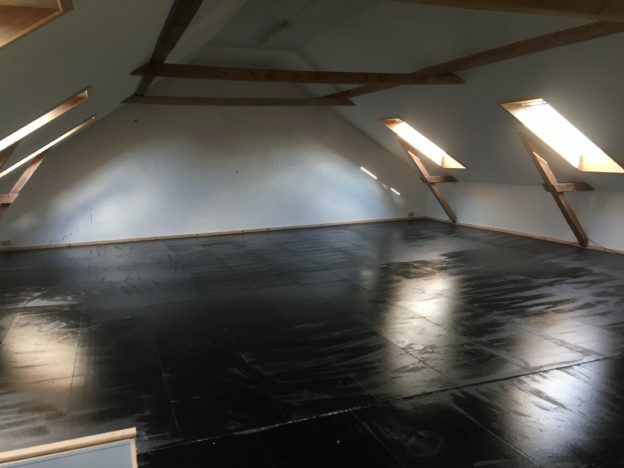 The black rehearsal studio is 130 sq meters big and slightly warmer – suitable for rehearsals in spring, fall and winter time. The studio is rented together with the atelier apartment with space for 4 persons for the prize of DKK 5000 / Euro 675 excl. VAT for one week.